Felicity is going on 2 years old and is crawling everywhere. She knows how to say ten words and is quickly catching up with her age group. Mom says people hardly recognize her anymore. Meranda is 16 years old and has been in the Hope program since 2003. Her mother reports that Meranda has been more focused lately and is slowly learning how to read and do math. She also says Meranda has been very calm. John is 3 years old and has participated in the Hope program since November 2010. Mom says he has been very calm the last few weeks. 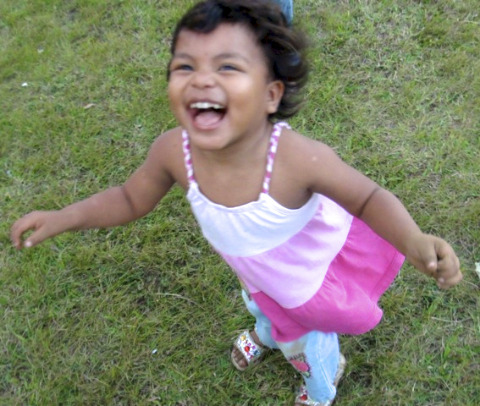 An organization called Hope House in Nicaragua recently joined the Blessing program with 28 children. 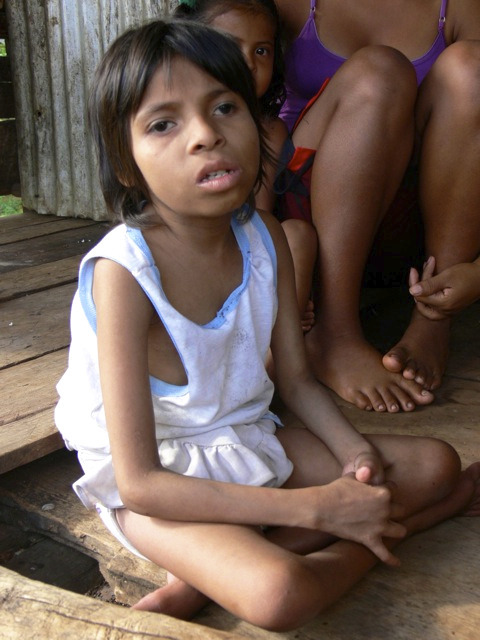 One child in particular, Ruby, is 13 years old, extremely malnourished and weighs a mere 31 pounds. Ruby was found abandoned two months ago and weighed only 18 pounds at the time. Doctors said it was a miracle she was alive. Last Thursday, we shipped Ruby and the other 27 children an eight month supply of whole food nutrition as well as advanced immune support for Ruby. We wish Ruby a fast recovery and can’t wait to see her thrive. Ruby at 13 years old. Not long ago, Hope House had a similar experience with another child. Ofelia, who is 4 years old, was rescued in June of 2010. She weighed 15 pounds and had never walked or talked. Hope House Caregivers said, “she was at the point of death.” When doctor’s examined Ofelia they thought it was too late for any intervention and said she would probably never walk or talk. After a short time of delicate care and giving her healthy meals and proper nutritional support, Caregivers said, “she was running all over.” Ofelia now weighs in at 35 pounds and is learning words in several languages! Hope House Caregivers say she is a miracle child and they believe the vitamins made a huge difference in her recovery. Happy Ofelia at 4 years old.